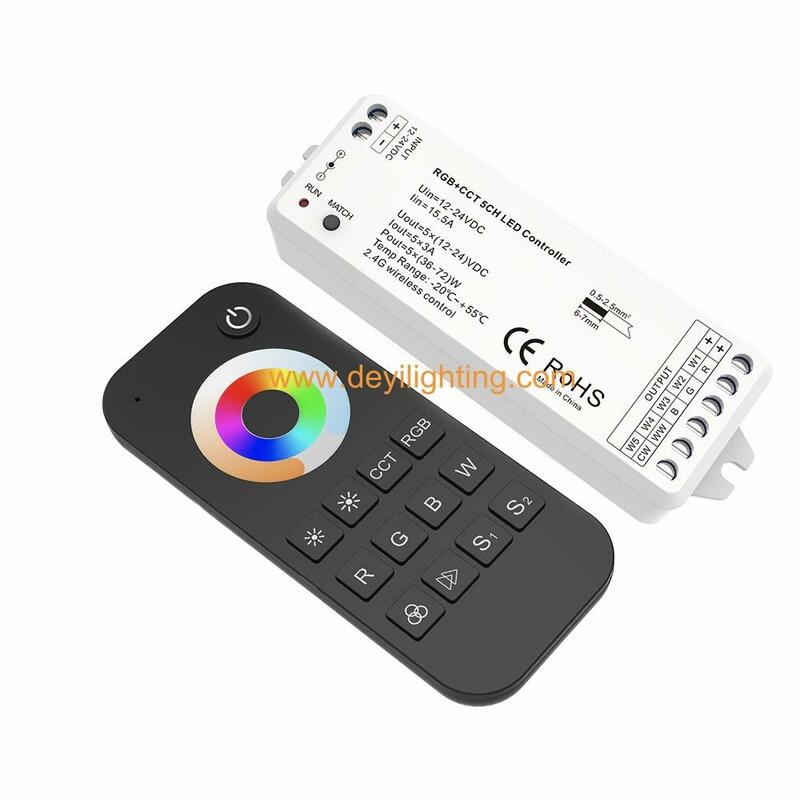 ● Mini style LED controller with DC power socket input and 5 channel constant voltage output. ● Full compatibility with a variety of RGB+CCT remote. ● Built in 10 RGB change mode, include jump or gradual change style, adjustable speed. ● Adopt 2.4GHz wireless technology, remote distance up to 30m, can accept up to 10 remote control. ● Auto-transmitting function, one receiver can transmit the signal from the remote to another receiver within 15m, so the remote control distance can be beyond 100m. ● Auto-synchronization function, different receivers can work synchronously when they are controlled by the same remote, under same dynamic mode and same speed. ● User can customize own RGB change mode list by APP for advanced function.